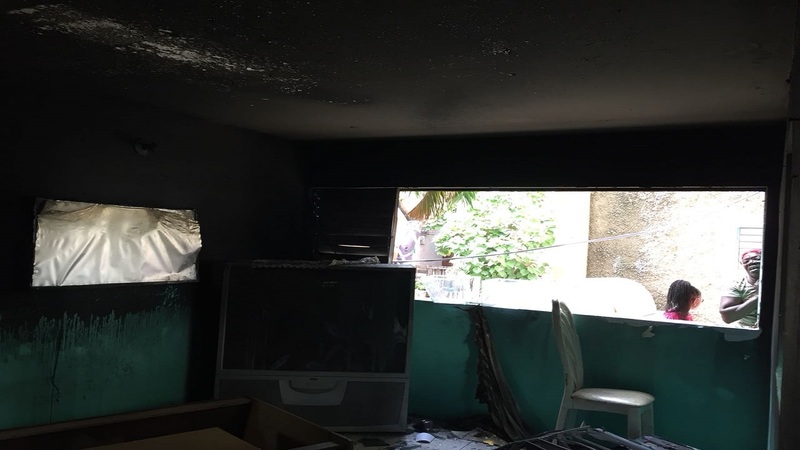 Inside a section of the first floor apartment that was destroyed by fire in Central Kingston on Wednesday. 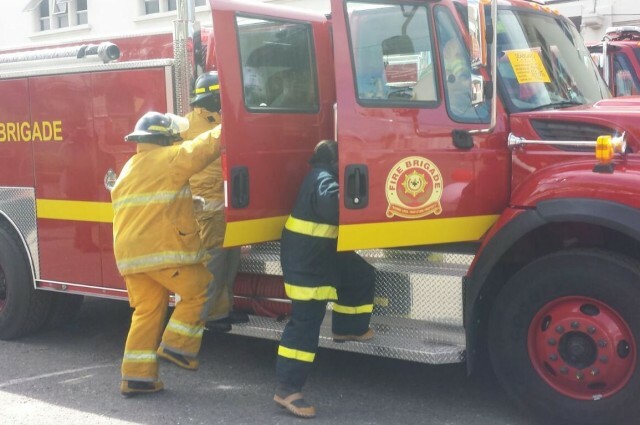 A father and his daughter are in hospital nursing injuries including broken bones after they were forced to jump from sections of a four-story apartment complex that was on fire in Central Kingston on Wednesday. The fire of unknown origin gutted the entire first floor of the apartment complex, leaving five members of a family homeless. “Two occupants of the building, a father and his daughter, were serious injured, as they jumped from the first floor of the apartment complex to avoid been burnt to death by the angry flames,” said an alleged eyewitness. “Reports we are receiving is that the female broke her two legs as she crashed to the ground from the jump, while the father suffered broken ribs,” said another ‘eyewitness’ to the incident. Reports are that about 5:00 a.m., residents living at the apartment complex heard a woman calling for help and went to investigate. They reportedly found sections of the first floor of the apartment complex on fire. Residents said they made a desperate attempt to save the distressed occupants as the fire threatened to spread to other areas. Firefighters were called to the location, and managed to extinguish the fire some time later. Despite the fire team’s response, the first floor of the apartment was totally destroyed by the blaze. “The family has lost everything. 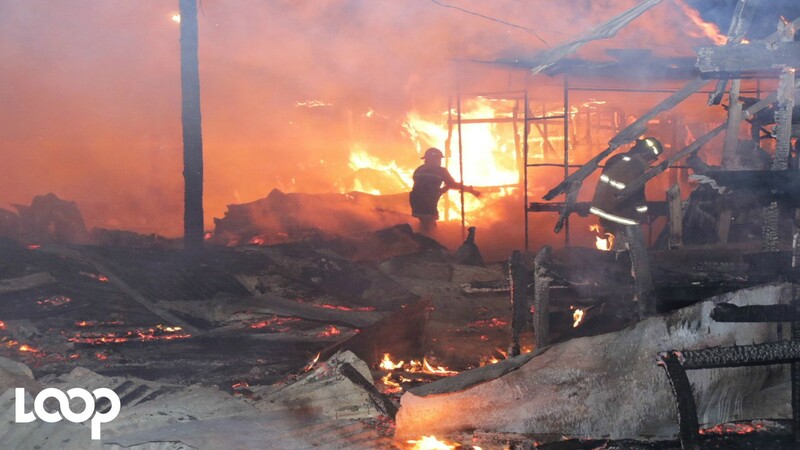 The only thing that they managed to save were the clothes they were wearing,” said a woman from the community. 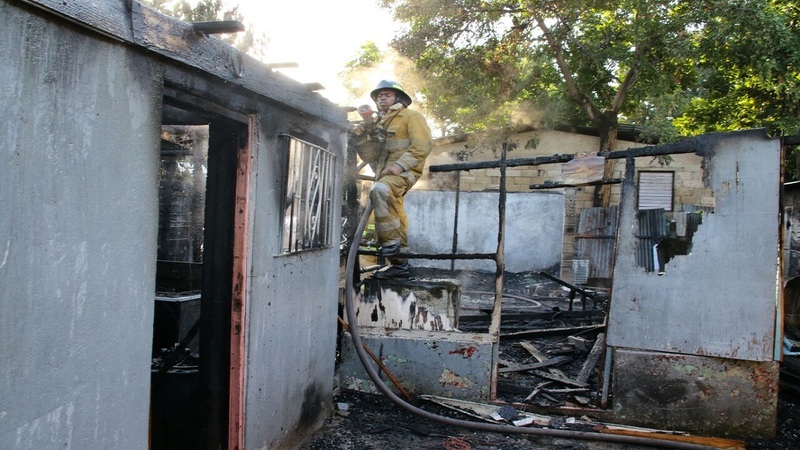 A distress call was sent out to the Jamaican Fire Brigade whose members arrived on the scene and spent more than an hour trying to put out the blaze. While the entire first floor of the apartment complex was destroyed, approximately 25 other persons from the overall complex were also affected from the blaze, but not as severe as the family on the first floor.